The Friends of Lemon Street Gallery is a community-based annual membership group that financially supports the mission of Lemon Street Gallery in the development of the arts. ​​Receive our bi-monthly online newsletter Slice of Lemon. Emailed art classes for earliest registration opportunities. Invitation to members-only preview reception of the ARTISTREE Holiday Show and Sale. $10 off any one class. All individual benefits with the exception of receiving not one but two $10 off any two classes offered at Lemon Street Gallery. ​All family level plus a 'Friends Only" gift. ​All Patron level benefits with the exception of recieving a free class instead of a class discount at Lemon Street Gallery. All Artist Circle level benefits plus website linking, advertising opportunity in Slice of Lemon and exhibit sponsorship. If you would like more information on sustained contributions and estate donations contact us at 262.605.4745 or contact any of one of The Team. Community partnership and excellent advertising opportunity for you organization. ​Ask us about payment options for donations above $100.00. ​Any level of membership makes an excellent gift! 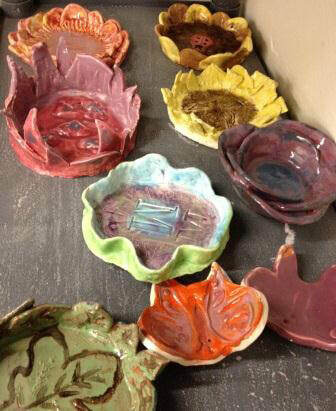 $25 provides art supplies for at least one child enrolled in the Studio-K ceramics program? $50 pays for instruction time for supervised after school art programs? $100 provides for operational costs of kiln firing or classroom enhancements? $500 provides substantial progress toward specialized equipment for public and special community projects? WE believe in good stewardship. Please join us in supporting these worthy organizations.